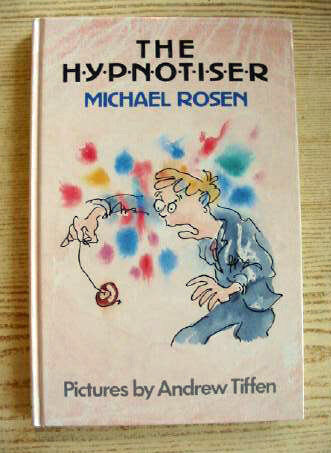 I wrote a book of poems for children called The Hypnotiser some years ago and then it went out of print. I couldn’t get anyone to reprint it, so I asked my son Joe to film me performing the book for this website. All you need to do is click on whichever poem you want in the gallery below. There are second-hand copies of The Hypnotiser available on various sites on the web, most obviously at Amazon, Abe Books.com and eBay. Tell me if you like it, and if you do, I’ll do the other books of mine that are out of print like Mind Your Own Business, Wouldn’t You Like to Know, When Did You Last Wash Your Feet?, Never Mind, Who Drew on the Baby’s Head, and You Tell Me (which I wrote with Roger McGough).